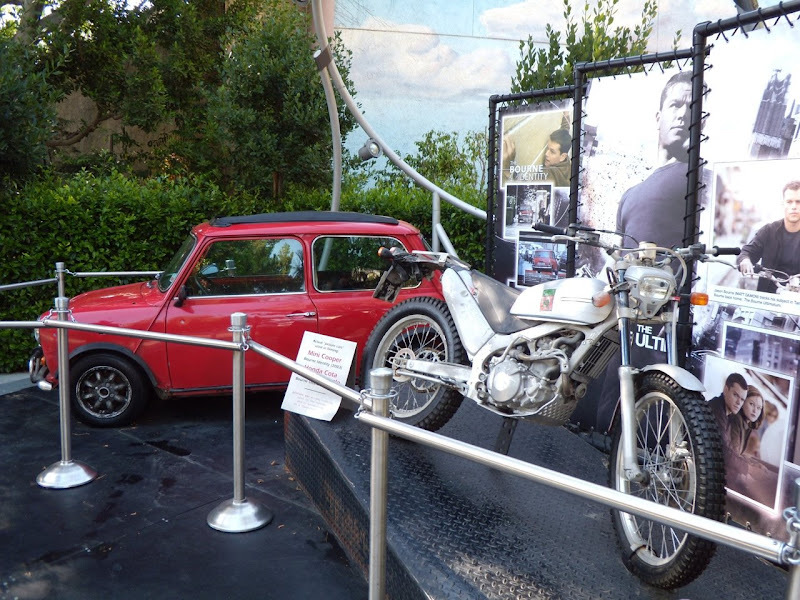 In the Upper Lot at the Universal Studios Hollywood theme park you'll find this great collection of movie vehicles from the action-packed 'Bourne' movies, based on the novels by Robert Ludlum and starring Matt Damon. 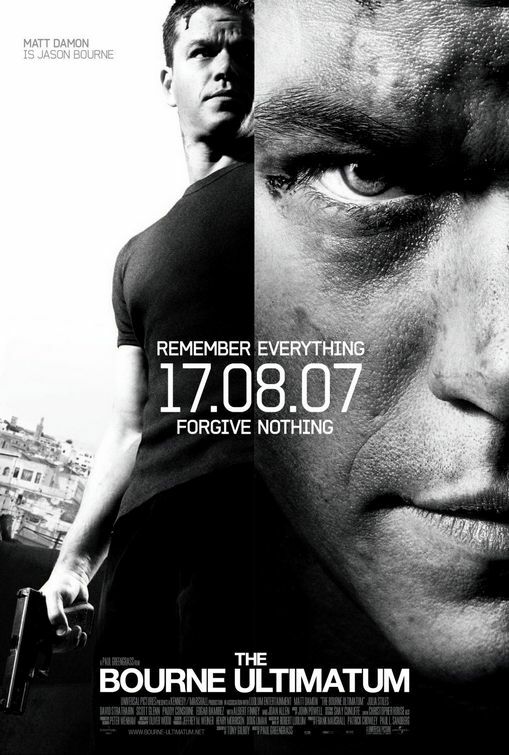 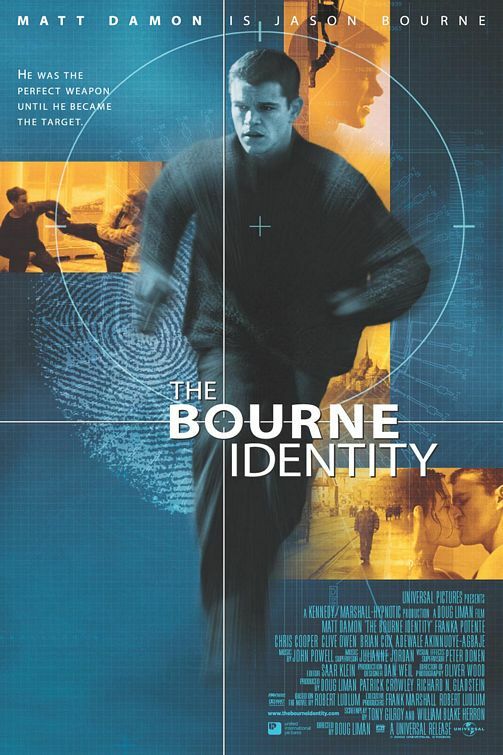 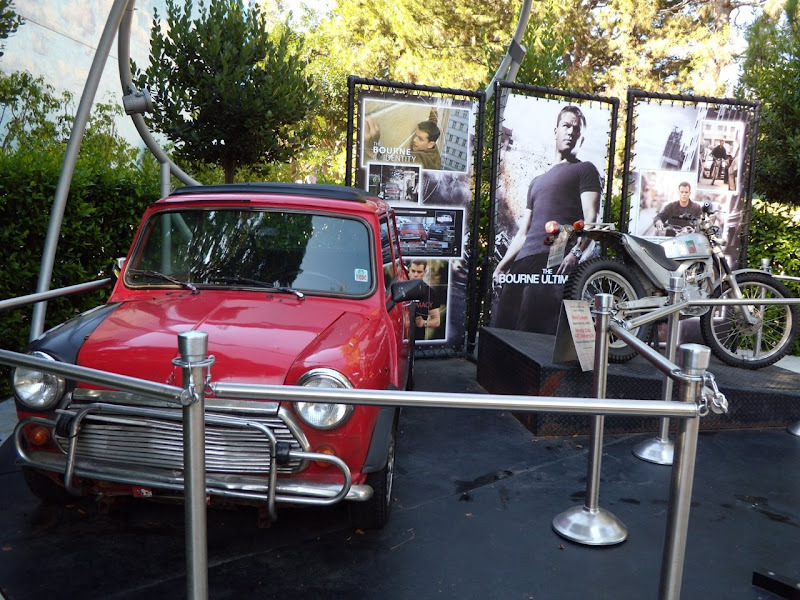 Not only can you pose for a photograph with a life-size cut-out of Matt Damon himself, but on display you'll find the actual red Austin Mini Cooper car from the first film of the spy thriller trilogy about amnesiac 'Jason Bourne', The Bourne Identity. 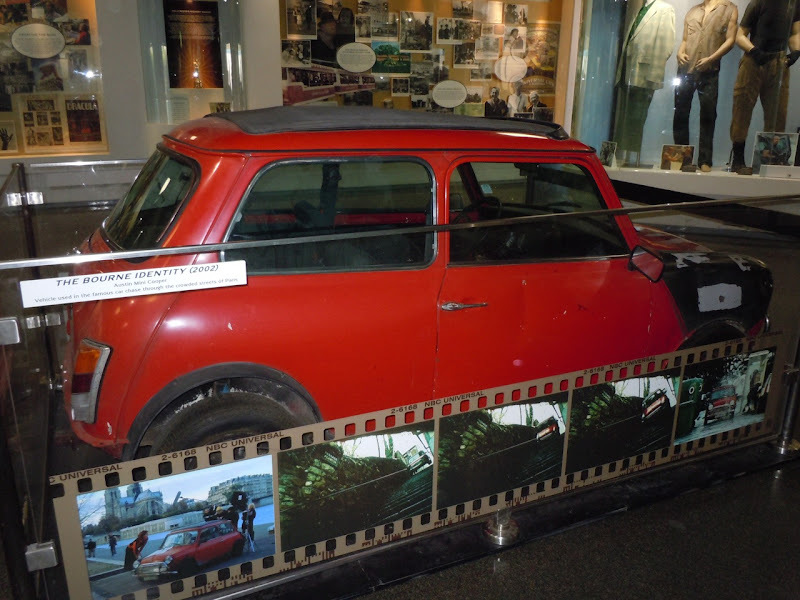 This is the car that Matt Damon drives across Europe with Franka Potente (as 'Marie') and through Paris in an exciting car chase scene. 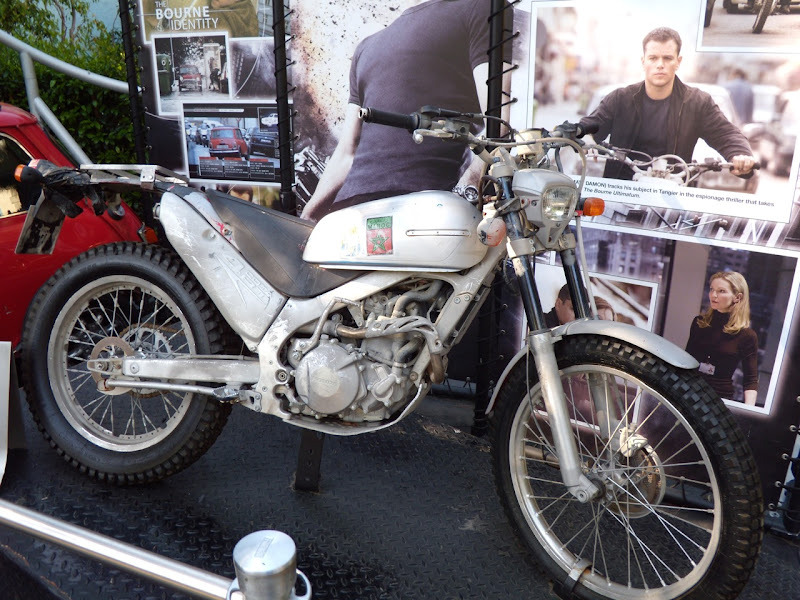 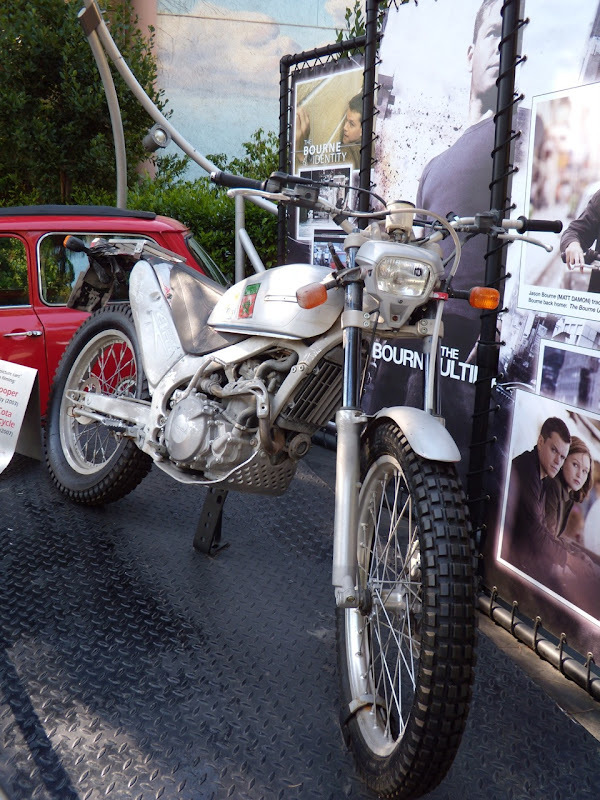 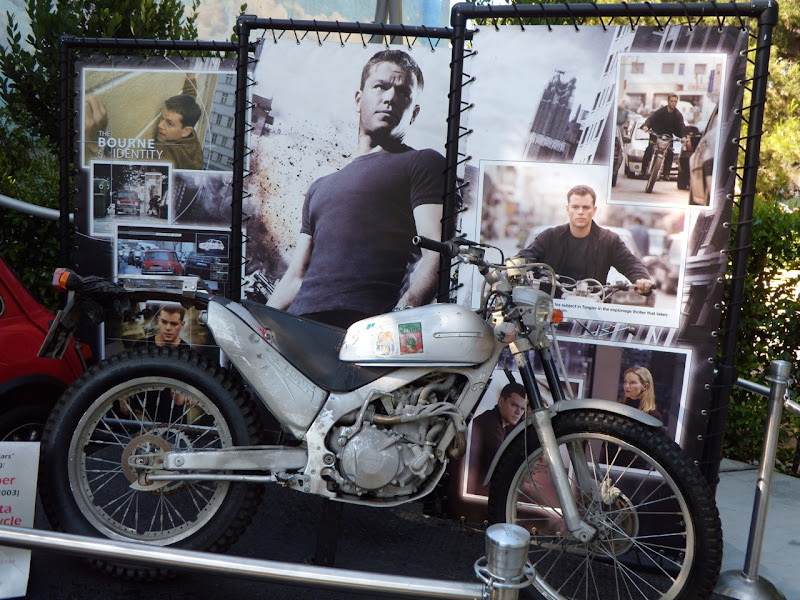 The other vehicle on display is a Honda Cota 4RT Motorcycle from the third film in the trilogy, The Bourne Ultimatum, where Matt Damon races around Tangiers on this bike. 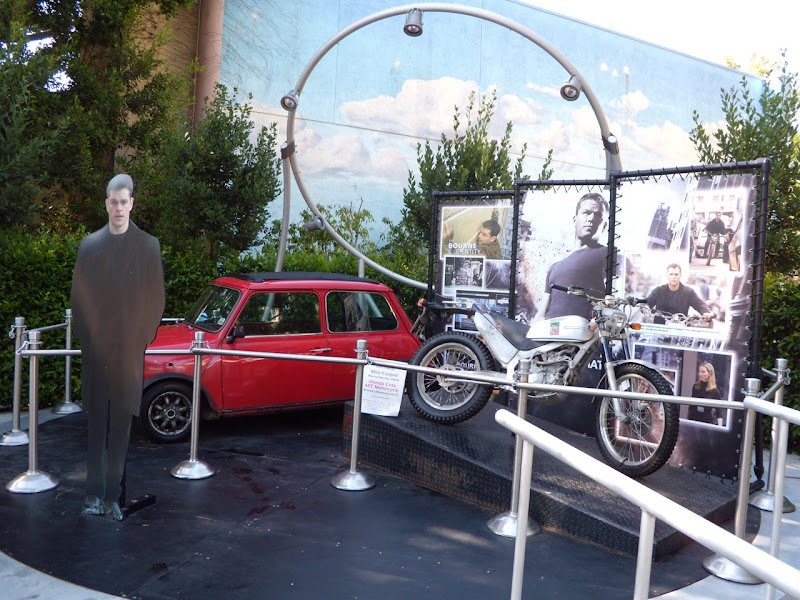 These photographs were taken on July 16, 2009. 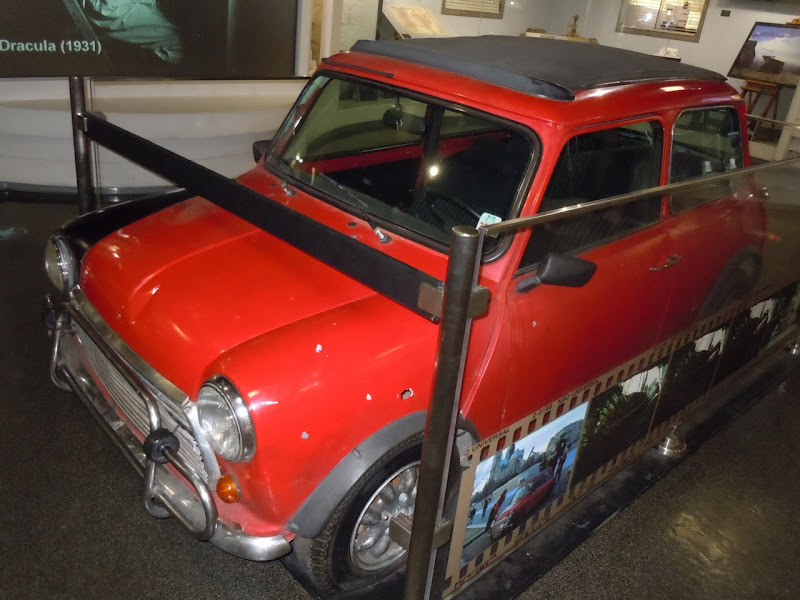 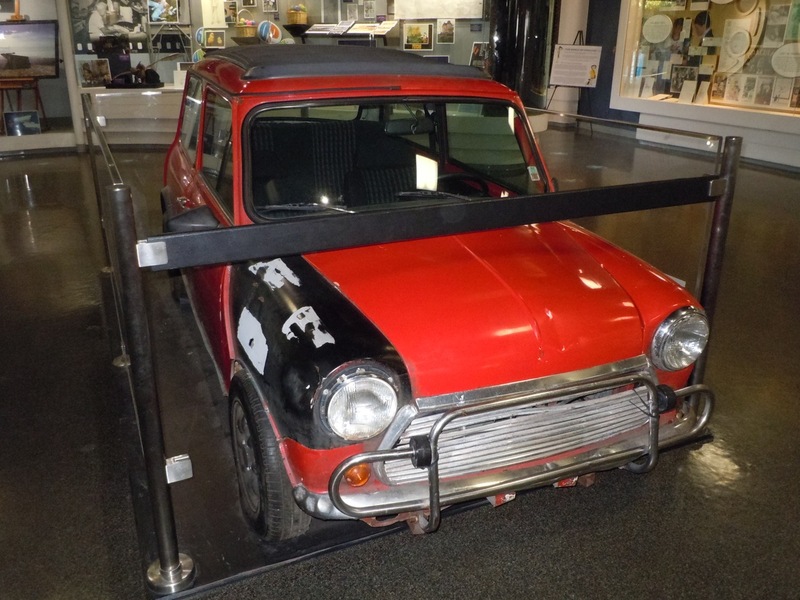 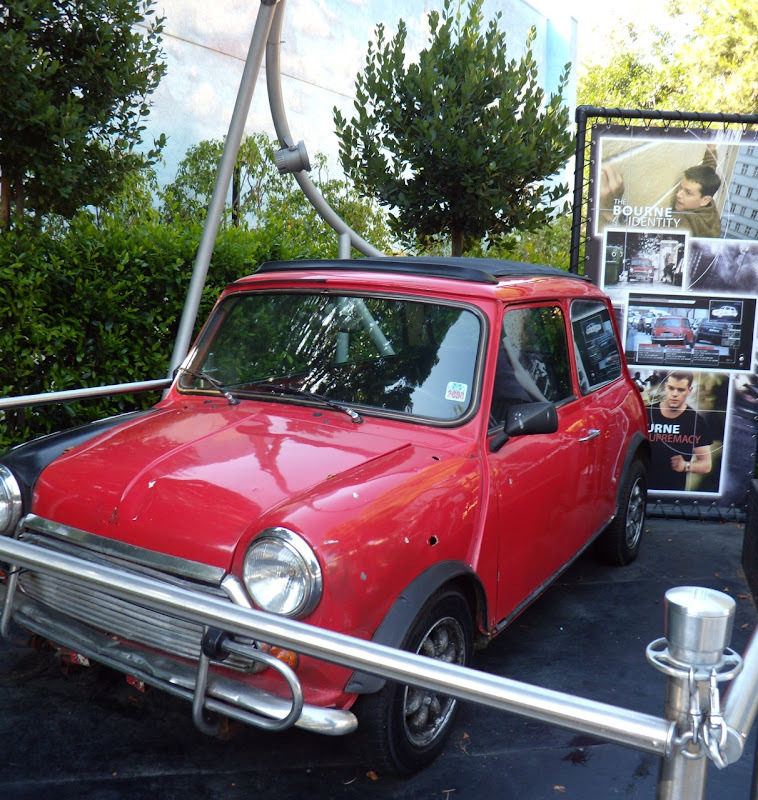 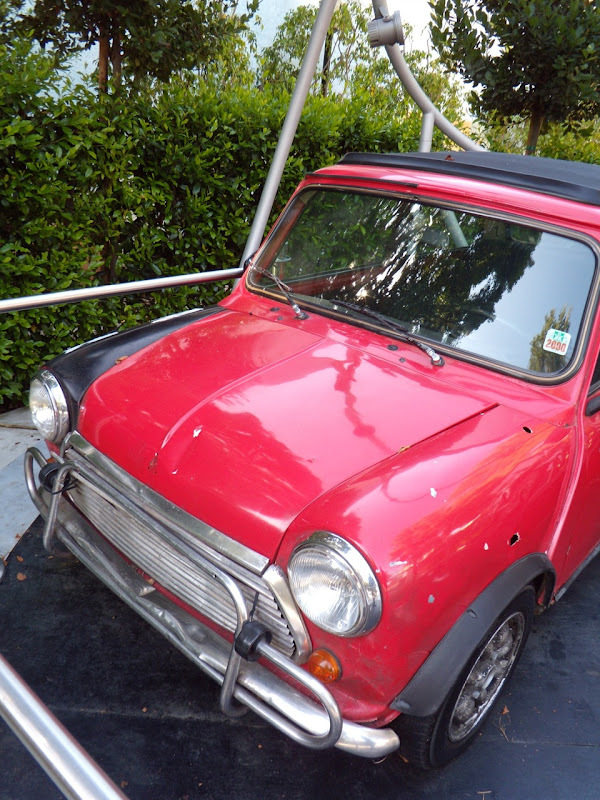 UPDATED: Here's also the Mini Cooper on display inside the NBC Universal Experience museum display space in the Lower Lot at Universal Studios Hollywood, photographed on November 30, 2011.